With $300 in his bank account, no car, and no laptop, Andrew Listermann arrived in Los Angeles. He had no experience in the music industry. No contacts. What he did have was resolve to become a leader in the entertainment world. He’s produced music videos for Justin Bieber, Jay-Z, and Sam Smith. He’s produced documentaries on two of the biggest music stars of the modern day: Chris Brown and Mary J. Blige. And he’s running a successful entertainment company with his wife, Emerald. Listermann started with nothing, and built a media empire for himself. And at the center of that empire is Riveting Entertainment. Now 10 years into its tenure in the music industry, Riveting is comprised of a music production company, an independent music label, and a recording studio. The company brought on top-level directors and produced over 300 music videos for artists like Ariana Grande, Lady Gaga, and Nicky Minaj. They’ve worked with brands like Reebok, LG Electronics, and American Express. Their videos have won multiple awards, including three MTV video awards and a 2011 BET video of the year award. In short, Riveting Entertainment and Andrew Listermann are the powerhouse behind some of the best video content in the world. Riveting Entertainment has been behind a bevy of award-winning music videos, documentaries, and commercials. But their most recent project, distributing their own videos, has brought them into entirely new territory. iTunes, MTV, and Netflix have sold and streamed their content for years—now, however, Riveting is bringing videos directly to viewers. With RIVNOW, the company’s video streaming site, viewers can go straight to the source. RIVNOW hosts music videos, dance videos, behind-the-scenes views, freestyle confessionals, and tons of other hip-hop content. It’s a one-stop shop for hip-hop fans. And Riveting offers all of it completely free. 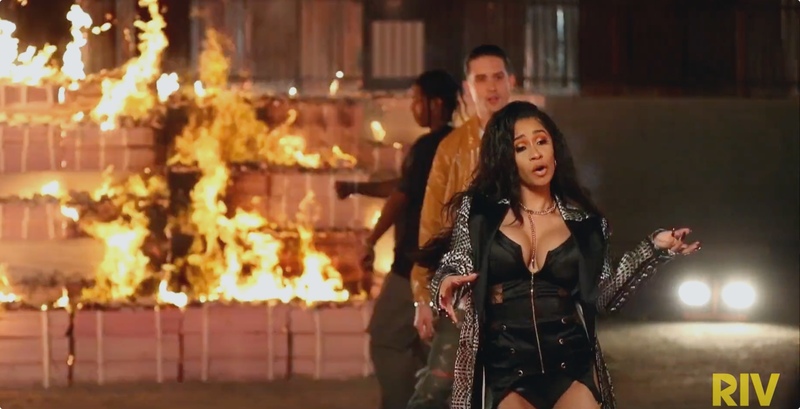 World-class artists like Chris Brown, Cardi B, and A$AP Rocky feature alongside up-and-coming names like Rahnell, Cal Scruby, and Myles Parrish. You might expect to pay a sizable subscription fee for all of these great videos. But instead, RIVNOW offers its content without even asking for an email address. By bringing their videos to fans of their artists, they’re building an online following that serves as a great base for marketing their clients. And with over 11,000 followers on Instagram, it’s clear that RIVNOW is a success. With a huge amount of video content—and a promise for daily exclusives—RIVNOW needs a platform that scales easily. Uscreen lets Riveting post as many videos as they want quickly and easily with a simple uploader. Our site builder can handle any number of videos and categories. And it’s not just RIVNOW where hip-hop fans can find Riveting’s videos. They’ve expanded to iOS, Apple TV, and Roku, bringing great content to people on all manner of devices. The platform also works with RIVNOW’s social following, making it easy to share, like, and comment on videos. Riveting Entertainment’s videos have been streamed online over 25 billion times. That many views is worth a lot—but we don’t take any of their revenue. There are no commissions or fees, so if RIVNOW decides to monetize its content, they’ll be able to do so without having to pay a fortune to do it. No matter how big they get. With billions of views, two feature-length documentaries, new artists, and more video content all the time, it’s clear that Riveting Entertainment is focused on the future. Listermann has fulfilled his dream, building his own hip-hop company from the ground up. And RIVNOW represents a new step in the upward trajectory of that company. Video helped launch Listermann to his current heights. And Uscreen will be there to help him keep climbing.